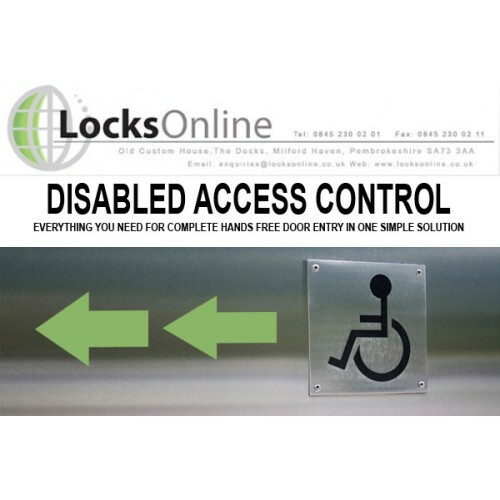 Proximity door locks are now easier to install than ever before with the LocksOnline Disabled Access Control kit. I remember when I first saw a proximity door lock system in action. It was on one of the new range of Mercedes-Benz saloons that were being tested by Jeremy Clarkson on BBC’s Top Gear. Now with this system the doors of the car unlock when you approach with the ‘key’ in your pocket, the car senses that you are approaching and unlocks the doors for you. Most proximity cards up to this point have been the traditional Mifare card which has to be physically presented to the reader for the system to read it. This new technology is now available for residential and industrial buildings alike allowing you to have a range of up to 15 meters from the sensor, just approach your front door with a keycard in your pocket and you never actually have to touch the card itself. There are 101 uses for these systems and can be combined with an automated door opener/closer giving a new lease of life to the elderly and disabled. An elderly relative can have their card inside their purse at all times, never needing to take it out and eliminating the chance of lost key cards or being locked out of their home. We realize that everyone’s ideal solution differs from the next person’s which is why we know that there isn’t simply a ‘one size fits all’ package. What we can offer though is free expert advice on what is possible for your specific application or if you think that one of our systems can make life easier for someone you know with limited mobility then give us a shout and see what we can do for you.